Jerusalem is Malchut and above it there is a spiritual point named Zion that is Yessod. Tower of Lebanon is reference to the Holy Temple. ‘Look toward Damascus’ is the vision of the future when Jerusalem will expand to all directions to purify all negativity that Damascus represents. The neck connects the head and the body. The Zohar tells us that the neck is the aspect of Torah that connects heavens and earth for us. The tower is the tower that King David built for the Shechina and it is round like a neck. The Zohar also tells us that the decorations on the neck are the aspects of the precepts that the Torah gives us in order to build the ‘tower’ to connect heaven and earth. With the precepts of “You shall NOT do…” we protect the Shechina from the hold of the negative side and with the precepts of “You shall do…” we build the tower and make unifications. זֹאת, (pronounced ‘Zot’), is the aspect of the Shechina that connects to Binah (מי, ‘who’). When we see the Torah raised in front of us we recite “V’Zot Ha Torah ahser sam Moshe….”. The Torah, Zeir Anpin, is raised to connect to Binah (before the Torah reading) and placed on the ‘bimah’ that is the aspect of Malchut. The pillars of perfume smoke represent the work of the righteous, to connect upper and lower. They are the aspects of Yessod and considered ‘merchants’ because they deal with the Torah and produce light through the study of the oral Torah and the Zohar that is the highest level of this study. 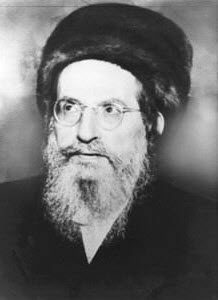 Rabbi Ashlag did not reveal the name of his teacher but said that a ‘great merchant’ taught him the secrets of the Zohar and Kabbalah. This section of the Zohar reveals to us the true meaning of words. On Friday nights we sing the song ‘A woman of valor’ that comes from Proverb in the order of the Alef-Bet. This song is sung after receiving the Shabbat and with it we connect to the Shechina that is now elevated to Binah. The following verse from this song tells us that the Shechina is a big vessel that carries the ‘merchandise’ that is the light that the righteous reveal in order to sustain her during the week days that is ‘from afar’. Rabbi Shimon wrote the Zohar to help us connect to it and support the Shechina until the Final Redemption. When we connect to the Zohar we become ‘merchants’ of light. The true sustenance comes from connecting to the light of the Zohar and sharing it.